The GoGreen Conference is a sustainability learning experience for business and public sector decision-makers. Featuring regionally targeted content and recognized leaders from the community, GoGreen works across industry silos to foster peer-to-peer learning and collaborative solutions. We believe sustainability in the business setting is a powerful and indispensable tool for navigating the tumultuous waters of today's global economy and solving our climate woes. Our mission is to empower attendees with the strategies, tools and connections to green their organizations with profitability in mind. View our most recent Conference Program and featured leaders Case Studies/Speakers to demonstrate how GoGreen delivers an action packed day of driving social and sustainable change in your organization. 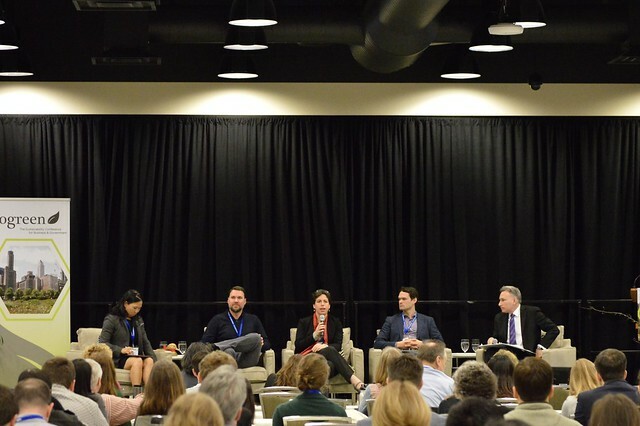 Get a refresher on GoGreen Seattle 2018 — from key statistics to themes from the day and quotable moments. Copyright © 2019  Event by Social Enterprises, Inc.